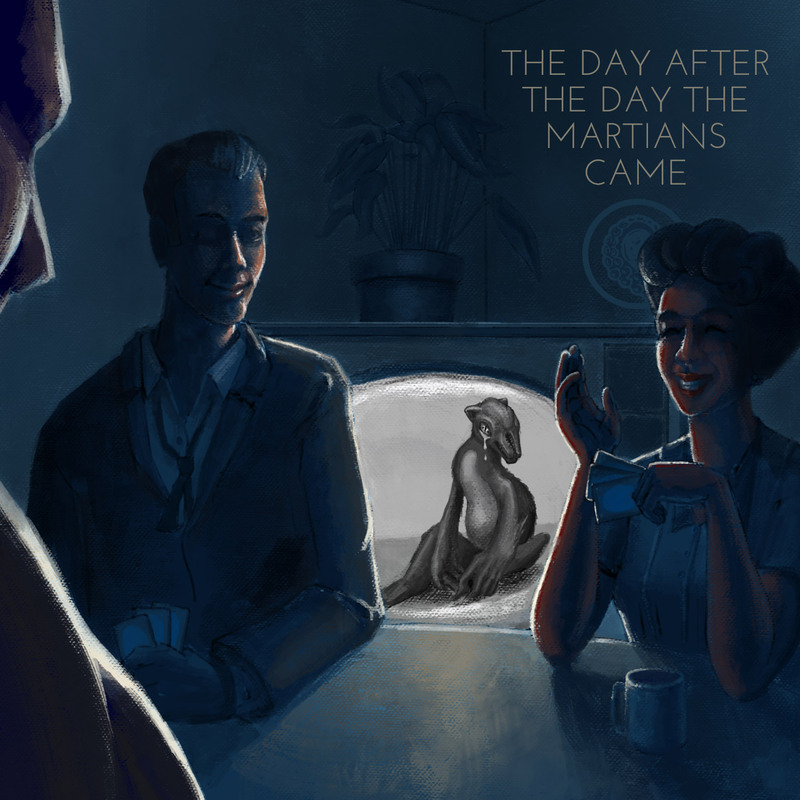 This week The Drabblecast presents “The Day After the Day the Martians Came” by Frederik Pohl. Jokes can teach you a lot about the underlying anxieties of a culture. The old line “take me to your leader” was actually a jab at President Eisenhower’s leadership during the Cold War. This story is about jokes and anxiety. Part of what makes it so brilliant is discerning between the two. Though Frederik Pohl passed away in 2013, his impact on the world of science fiction (and particularly on this podcast) will carry well into the future. His 1977 novel “Gateway” won the Hugo, Locus, Nebula, and John W. Campbell Memorial Award for Best Novel. Among many other accolades Pohl became only the 12th recipient of the Damon Knight Memorial Grand Master Award in 1993 and was inducted into the Science Fiction and Fantasy Hall of Fame. Pohl may not be a household name, but he deserves to be. On the television screen a hastily edited tape was now showing the return of the Algonquin Nine space probe to Mars, but no one was watching it. It was the third time that particular tape had been repeated since midnight and everybody had seen it at least once; but when it changed to another shot of one of the Martians, looking like a sad dachshund with elongated seal flippers for limbs, one of the poker players stirred and cried: “I got a Martian joke! What’s worse than a martian tryin to fly a spaceship? “It’s your bet,” said the dealer. “A martian tryin’ to park one” said the reporter, folding his cards. No one laughed, not even Mr. Mandala, although some of the jokes had been pretty good. Everybody was beginning to get tired of them though, or perhaps just tired. Want to stay abreast of all the tentacular happenings? Get the newsletter! Join the horde. Hit us with your e-mail address and we'll make it weird! Want to get your hands on some of our exclusive Kickstarter schwag? Drabblecast Bsides is an exclusive premium content podcast updated every month with even more awesome stories and badass stuff. Subscribe to Drabblecast Bsides by signing up for a $10.00/month automatic subscription and help support your favorite podcast today! Want to Follow the Drabble? 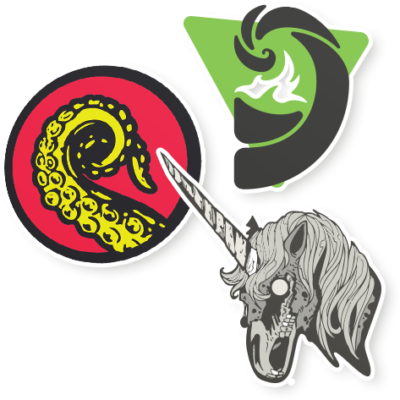 Want to stay abreast of all the tentacular happenings? Get the newsletter! Join the horde. Hit us with your e-mail address and we'll make it weird! Subscribe at $10/month and get Drabblecast B-Sides!